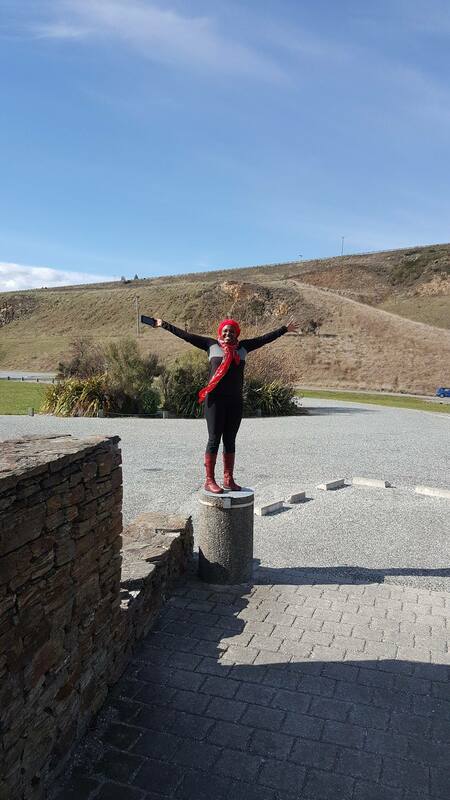 When I arrived in New Zealand about two weeks ago, my co-worker (Andrea) said “you are going to bungy jump when we visit Queenstown for the weekend”. I was like uh. I was thinking of skydiving or zip-lining. Bungy jumping never crossed my mind. 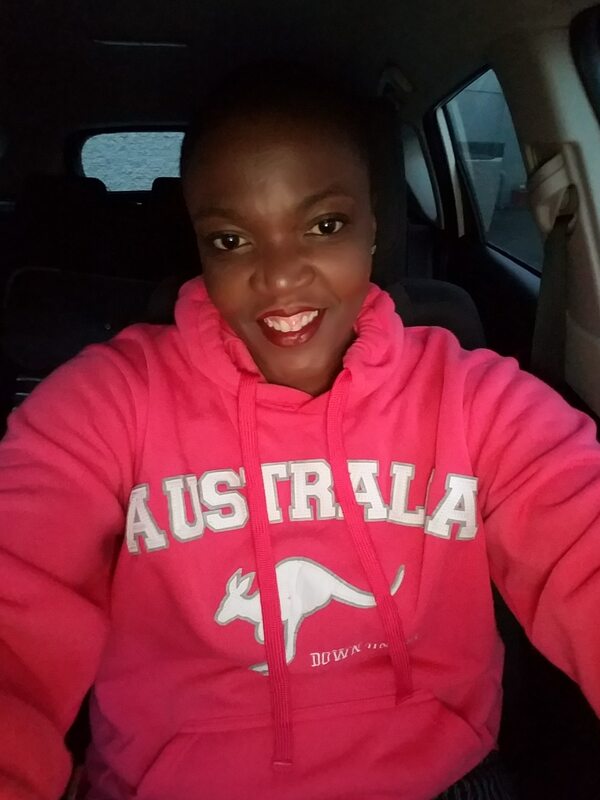 As the week progressed, my client started to encourage me with statements like “You can do it”, “It is so much fun”. I looked at them and said have you done it? I got a resounding NO! Well Friday arrived and the client said as we were leaving for the weekend — we want videos, pictures and a recap. Mind you I hadn’t made up my mind that I was actually going to bungy jump at that stage. 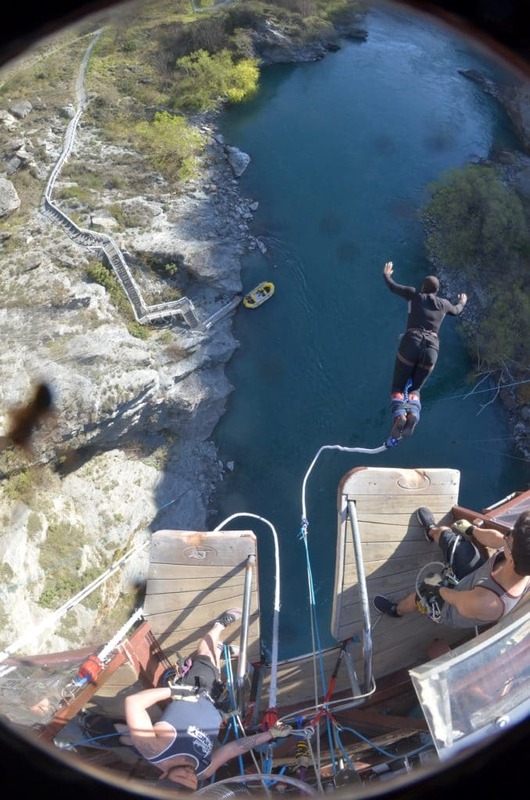 An extreme sport activity was in the plans but not a bungy jump. 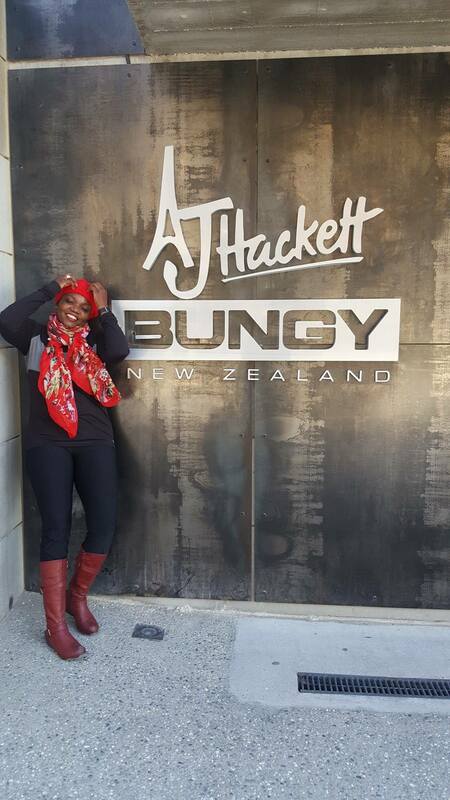 What I didn’t know was that the famous original AJ Hackett Bungy Jump station is on the same route to Queenstown. Andrea said lets stop and see what your in for and watch whoever is jumping. I was like okay. We went inside and walked around and saw a couple bungy jumps together. Andrea says since we are here; why not get it over with. I think I was hoodwinked. I said I left my wallet in the car and one of the workers said you have to be quick as we are due to close. Andrea said I will go get it and you go book. Yes, I was bamboozled. With a little hesitation, I went to the counter. The agent explained the process and the cost. She then told me to get on the scales. I was like uh! The scales were in kilograms and she said since I am from the States I wouldn’t be able to convert that quickly. I thought ok probably best I don’t know the conversion anyway right! That made me laugh. Andrea showed up with my wallet in hand. 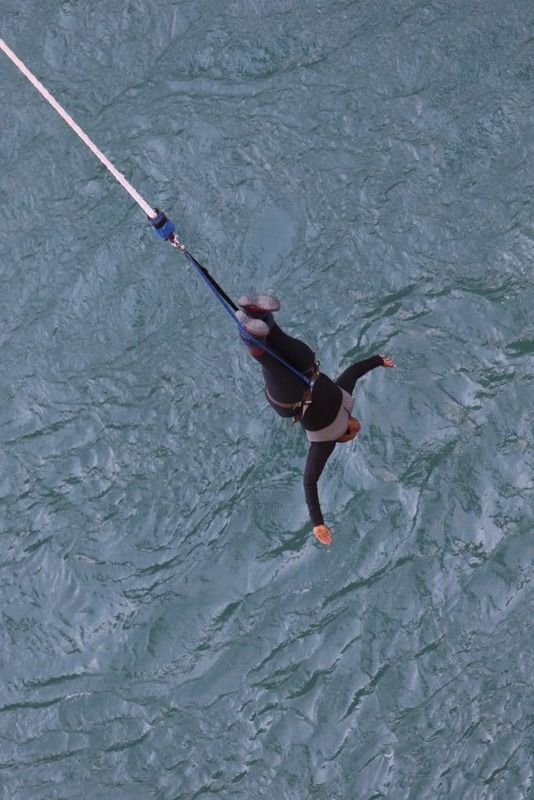 The agent had to state very clearly that the bungy jump was non-transferable and non-refundable. As I was walking down the plank (oops, I meant bridge), one of the crew members approached me and started to prepare me for the biggest adventure of my life. Prior to going out to the bridge, they write your weight on your left hand and on the right hand goes the photo id number for when you complete your jump. The crew at the bridge checks the number on your hand. Then you get into a harness. 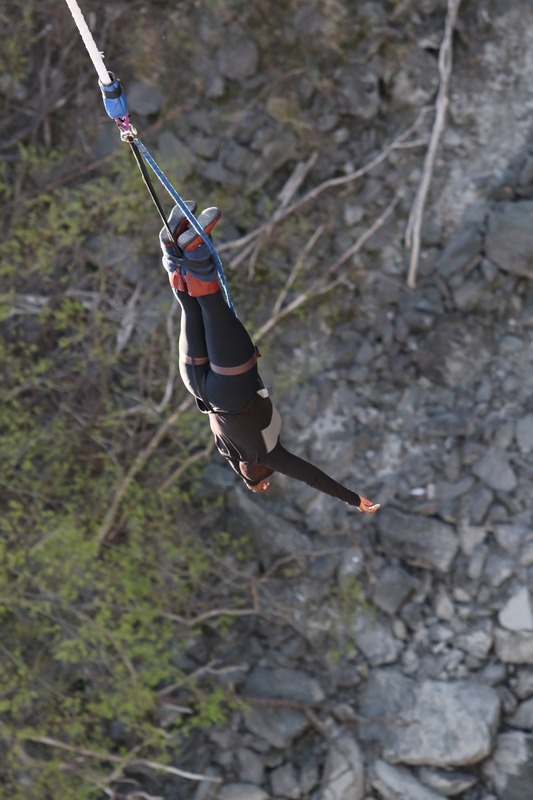 Once you are in the harness, you go to the area where the bungy will occur. You then sit down with your legs slightly elevated and closed. Then they wrap a very thick towel around your ankles, and then tighten it with a rope, and then the rope is connected to the harness. Once the setup is done, you then walk out to the ledge. 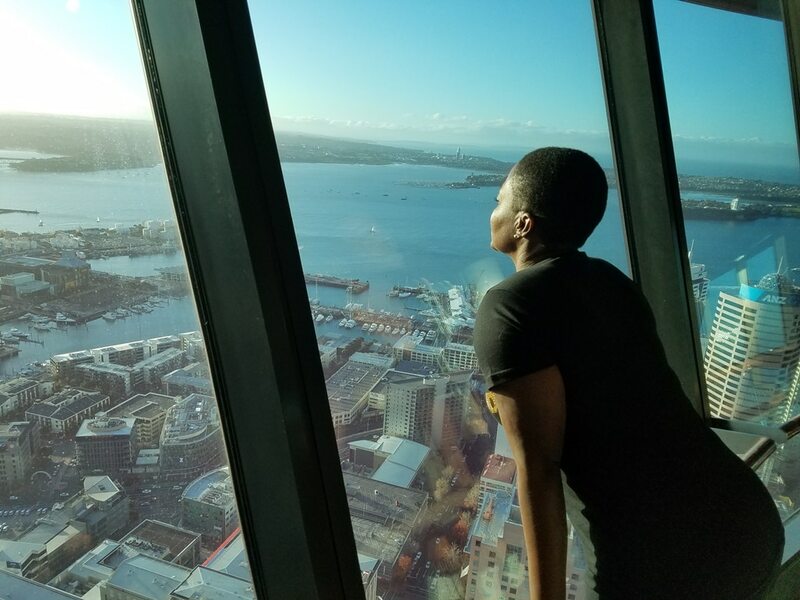 As I was approaching the ledge and looked down, I started to say “Black people don’t jump”. I was trying to find humor to alleviate my fear. However, it was not working. The crew gave me instructions to raise my arms up and jump. Instead one hand grabbed the railing and the other almost his private parts. For about a minute, the crew was giving me encouraging words and what to focus on to help me jump. The only thing that was going through my head was I going to die of cardiac arrest. I wasn’t afraid of injuring myself but rather the shock and/or fear would cause a massive heart attack. Finally, two crew members grabbed an arm each and held straight upright and then gently pushed me. Note they are not actually allowed to push you so I told them the only way would be via a helping nudge. Once I opened my eyes, I started to laugh…a very happy exhilarating laugh. 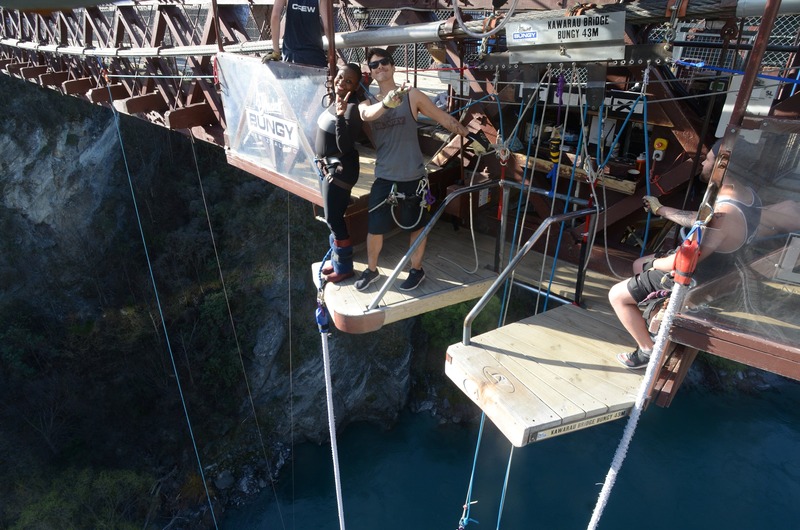 I bungy jumped. What a feeling! I loved it. There was no fear just a thrill. The jerking and swinging was about 30 seconds, then 30 seconds of hanging until I was pulled into the raft. 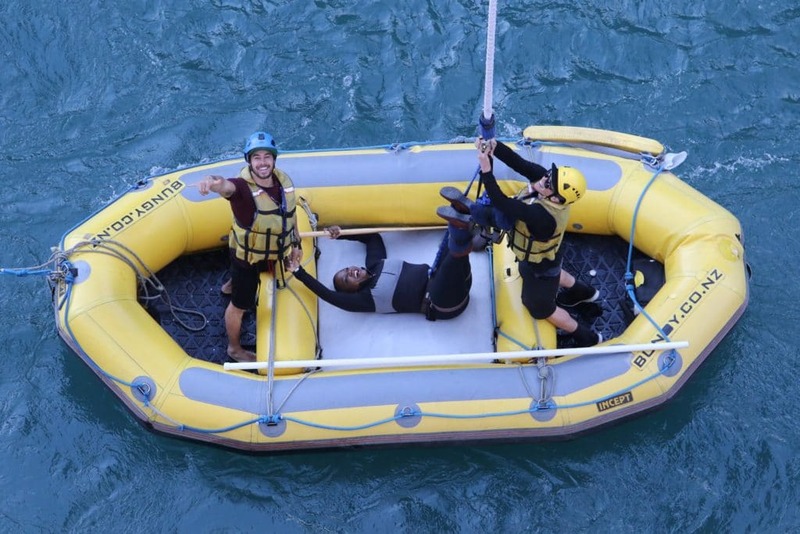 Once I was on the raft on my back, I was still laughing and smiling. I DID IT! YEP, I DID IT! I am so glad that I did do it. And YES, I will do it again! Here is the unedited video of the entire jump. I hope you enjoy it this experience with me. 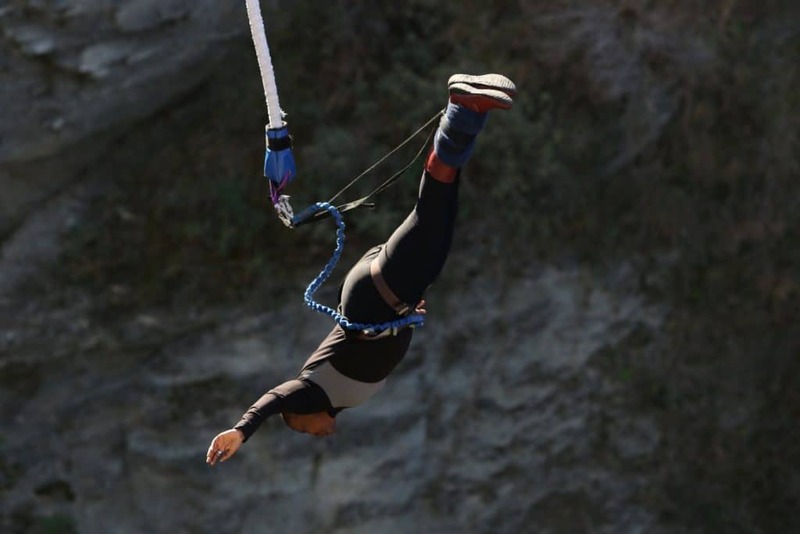 Bungy jumping and New Zealand, two things at the top of my lifetime bucket list! Nice!! I love that you did it! I’m not sure it’s on my bucket list, but my husband would love this! Isn’t it amazing when you do something you are a little scared about and find it is truly exhilarating instead? So brave! What a great story! Wow! That’s incredible – how fun!! I’ve gone skydiving but haven’t had the opportunity to bungee jump – yet:) NZ sounds like a great place to try it, though! Wow! I could not do that. I’m terrified of heights. My daughter so would though. You are so brave! Sounds like you had so much fun. I am not brave enough to do for sure. :)) Thanks for sharing! AMAZING!! I want to do that here in South Africa! So brave. I find the idea of bunny jumping exciting. I just don’t know if I can actually go through with it. I have never wanted to bungee jump! I am so scared of heights, even seeing your pics makes me nervous! This scares me to death! How awesome though! I don’t know if I am brave enough to do it. I am crazy enough tho. Can you believe I did this exact same on in 1991.Ha ha! Screamed my head off the whole way down. Good times! You are so brave! I can’t even imagine this for me! Nothing but respect. 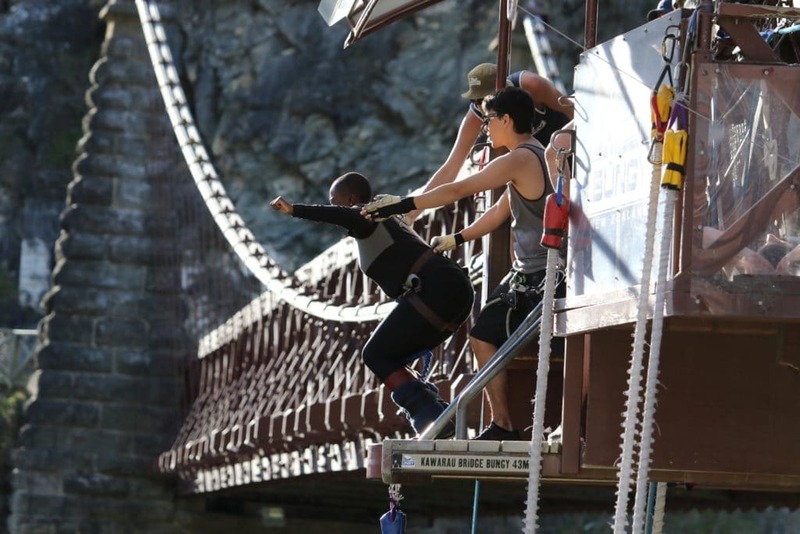 I love how everyone else is so keen to throw you off the bridge but they’ve never done it! Omg. I cant do this. It will take me a lot of courage to do so. Its like a suicide. This sounds like an amazing experience! I’m a little afraid of heights and I was a huge chicken when I went repelling so I don’t know if I could be as brave as you! Bungee jumping is something that I just can’t do. I have done skydiving and other crazy things, but this one I just can’t. Good on you for doing it!! WOW!!!!! You are SO brave!!! I watched your video and the view alone is amazing! You did great! But I don’t think I could bungee jump! Lol! OMG this is one of my biggest fears! Congrats for doing it! I would love to do it but at the same time I am so incredibly scared that something could go wrong! What a wonderful and crazy experience! You go girl! Let me tell you about black people not jumping lol. I bungee jumped at a local state fair and I was all fine and dandy until I was made to face down over the opening of the metal hoister. It took me forever to let go but I made the plunge as well. Now I gotta be a as cool as you and jump off something just as high!